Along with Cal defending its Pac-12 Championship title, Seliskar also won Pac-12 Swimmer of the Meet for the second year in a row. While the conference may be strong, the Bears haven’t had much trouble with any of their opponents so far this season. Most recently, they handily defeated the Cardinal and before that, the Trojans — the two highest ranked teams behind them. All team members seemed to play their parts in Cal’s win over Stanford. Performing well as a team, with everyone stepping up and contributing, is more important than having a few individual talents when it comes to winning NCAAs. Coming off a strong team performance versus now-No. 10 USC, as well as having the Pac-12 Swimmer of the Week in senior Andrew Seliskar on its side, Cal will be aiming to continue its success Saturday at Spieker Aquatics Complex in its last meet before the Pac-12 Championships. On one hand, we have a ferocious Bears team that currently sits alone at the top of the NCAA’s swimming rankings. On the other, we have an undefeated Trojans squad looking to prove itself in its first competitive matchup of the season. 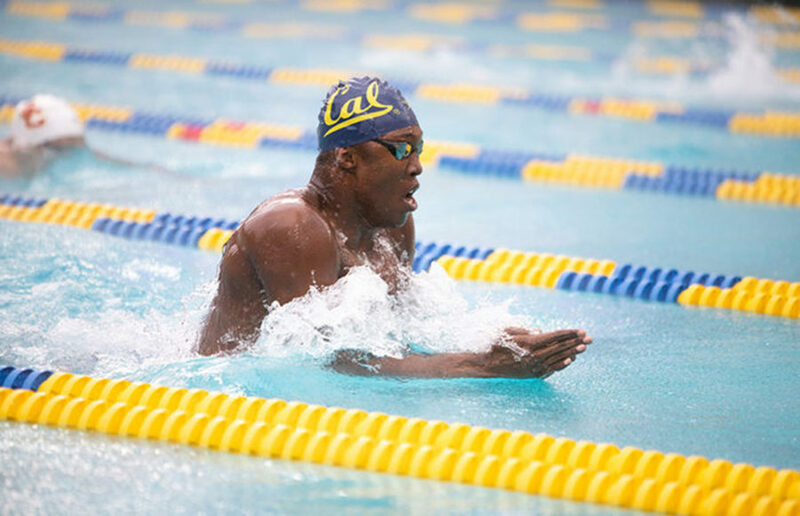 On Friday, one Cal squad trekked to Arizona State in an attempt to splash out the Sun Devils’ flames, while the other group braved King Triton’s wintry waters down at UC San Diego. Cal came into the season ranked No. 2 in all of collegiate swimming behind rival Stanford. But after kicking off the season with victories in every meet, the Bears dethroned the Cardinal and claimed their rightful place as the nation’s top-ranked program.